President Council for the Regulation of Engineering in Nigeria (COREN) Engr. Kashim Ali has called on the federal and state governments to patronize indigenous engineers in the award of contract. Ali, who stated this at the in Abuja in an interview with a publication (Daily Trust,) said over the years, preference had been given to foreign engineers in award of engineering project contracts by governments at all levels. He said, there is a white paper which state that jobs of N500 million and below should be given to indigenous professionals, especially engineers, adding that this had not been the practice as preference had not been given to Nigerians professionals. 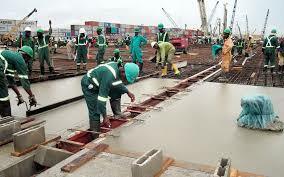 He said if Nigeria must move forward in terms of infrastructural development, government must give preference to its engineers and also recognize that they had the capacity to deliver on any project. “Every nation of the world that has developed invested in its engineers and Nigeria cannot develop without taking that part. “Any attempt at deviating from the part of using your own internal and human resources to develop your country is meaningless because there would be no sustainability in such developmental effort,’’ he said. COREN president pointed out that Nigerian engineers who had the opportunity had proven their capability because the revolution in Nigeria in some critical infrastructure was due to the inputs of our engineers.